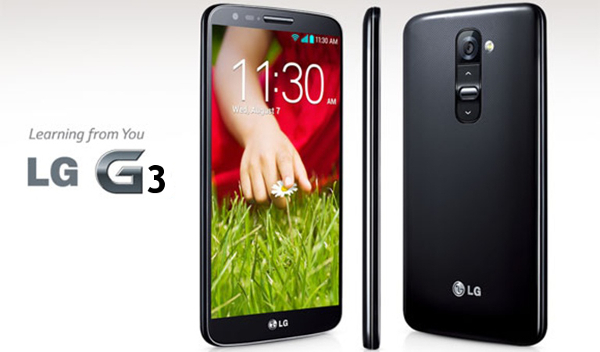 LG G3 – the new flagship of the Korean company, through which LG has further strengthened the position among the masters of mobile market. Using the well-deserved recognition of its mobile line leader, LG decided to give the opportunity to get a fashionable device and in lower price so it launched the LG G3 S.
A particularly interesting feature here migrated only one landmark feature – laser autofocus. But do not be upset, because LG has established itself as a manufacturer of quality products. So we can get, even if not the best, but it is workable and balanced gadget. Check it out. Especially since there is support for two SIM-cards and looks quite capacious battery for a given configuration. If we talk about the design and structure, LG G3 S is made in a plastic folding case. Occupies the entire front panel glass, which is located under the screen. The back of the cover is plastic cover, the surface of which stylized brushed metal. Here, all as the older model. Application of the substance is not easily soiled. Border ends also received brushed metal texture. The new smartphone looks original. However, the body is not so thin, its thickness is 10.3 mm. Facets of the back and corners of the machine smoothed, whereby the thickness seems smaller. The height of the device is 137.75 mm, width – 69.6 mm. Frame on the sides of the display are very narrow at the bottom and the top a little space is left. Weight of the device is 134g; this parameter of smartphone feels normal for their size. But due to the smaller size of the display LG G3 S device is more compact and lighter compared to the LG G3. All buttons rendered on the back cover and the connectors, and other elements are disposed at the ends. The back cover looks like a metal and looks very good. Above the screen there are events and charge indicator, front camera, earpiece and proximity sensor. Under the light sensor seems to be even a hole, but its most deprived smartphone. Speaker was slit medium-sized covered grill. The indicator flashes red with a very high frequency (every 12 seconds) for missed events and glows red when charging. It is bright enough and would normally be seen from a great distance and angles. Below the screen there is the touch buttons (they are onscreen). Here there is only the company logo. The main camera is located at the top center of the rear panel. Camera and power buttons (on and volume) are united by one trim. Well, in design and structure LG G series is revolutionized after the launch of LG G3 and we hope this standard would be maintain in the upcoming launches of company too, i.e. LG G4 and LG G5.